In my recent past, I heard our company management question the value in having a PMO. My understanding has always been that the primary reason a PMO exists is to define and maintain standards for project management. PMO is the acronym for Project Management Office. The bottom line result in using a consistent set of standards and practices maintained by a PMO is reduced costs in delivering projects to the customer (internal or external). Often in establishing a PMO, the templates and supporting processes are tailored to suite the organization and culture. When done right, the value is easily understood and there is a proper balance of process, overhead and execution. I recently came across two appropriate graphics from another blog that show what a PMO does. 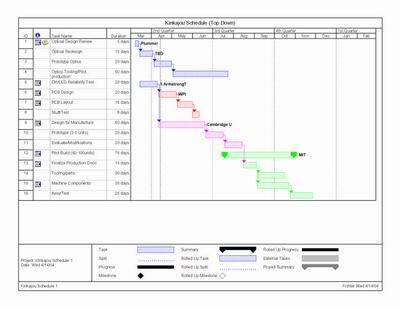 A shout out here to the Project Management Files blog here as the source for these images. I submit they quickly depict visually what the PMO can do. The image above shows the PMO transitions involved with the queue of potential projects, active projects and the archive of closed/completed projects. 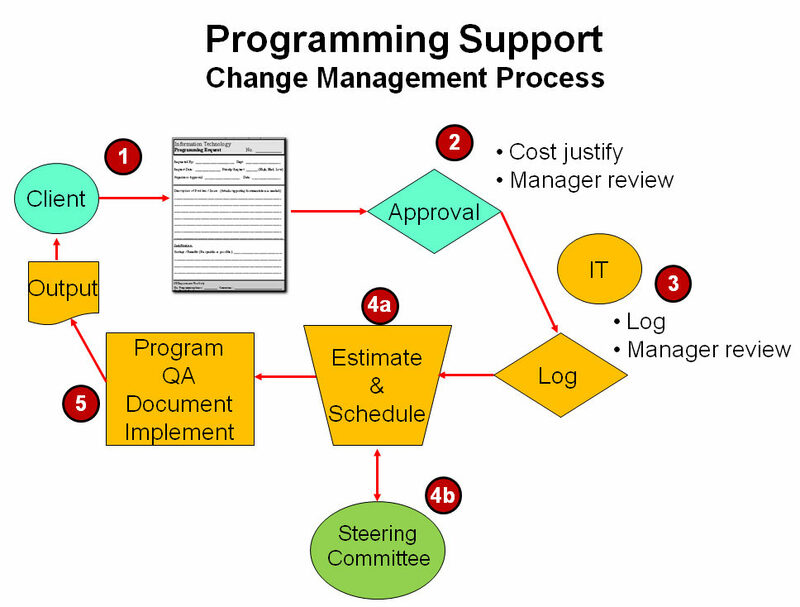 There are many tools to manage these transitions. How to evaluate a candidate project for approval is related to ITIL and of course, the management style. Also related to my previous post on being data driven. Another value the PMO provides is with managing the project portfolio and programs. 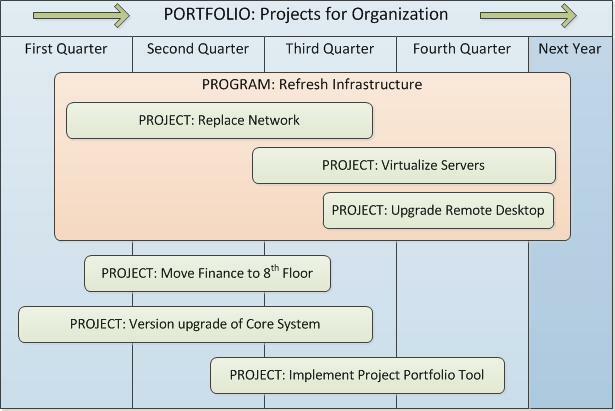 From the same blog, this 2nd image shows how the portfolio, program and projects are distinct. Notice how as a planning tool, this portfolio view can easily be used as a roadmap. In terms of communications with a project team, a PM group or PMO stakeholders, having this overview of projects and interplay among program and the overall portfolio should not be underestimated. It is a much easier discussion to adjust timing of any project and then sort out the impact later. Together these two images provide a great educational tool to ensure everyone understands how projects will be deployed/evaluated/resourced. 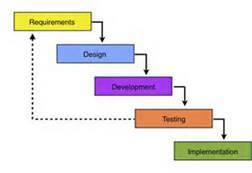 Im my journey as a project manager, I have contributed to PMO standards and practices in several organizations. 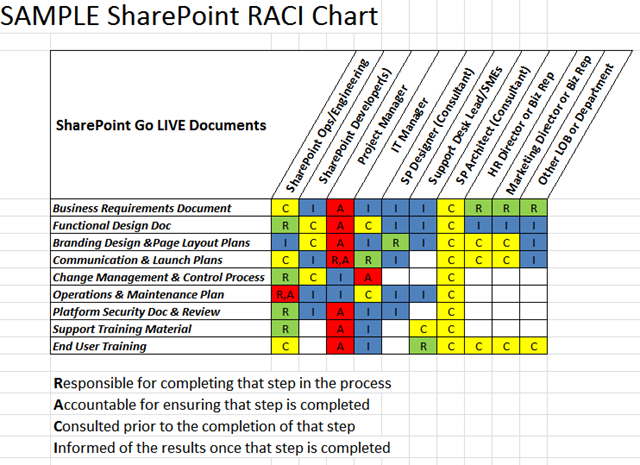 I appreciate the value in having those standards and consistent process to drive projects. The value comes in everyone knowing (and, agreeing on) what is being worked on across the organization and when it will be delivered. At least one management team did not see that. They had but to ask to find out. 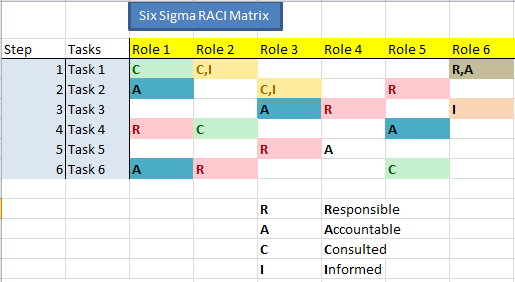 What does your organization use? 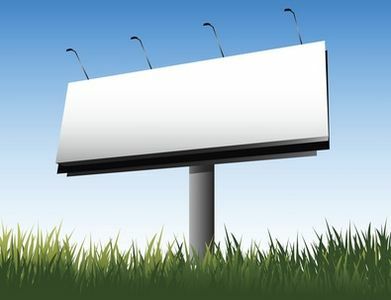 What is used to manage projects? Does it have a PMO?